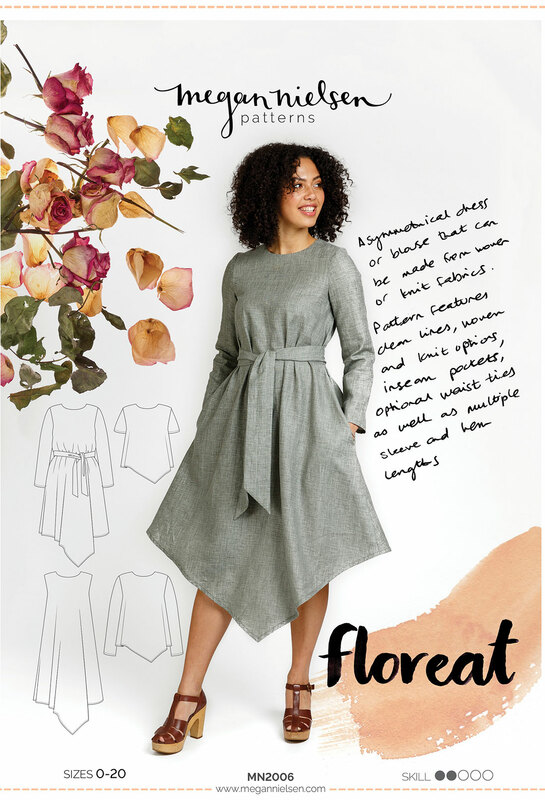 How is everyone’s Floreat dresses or tops coming along? 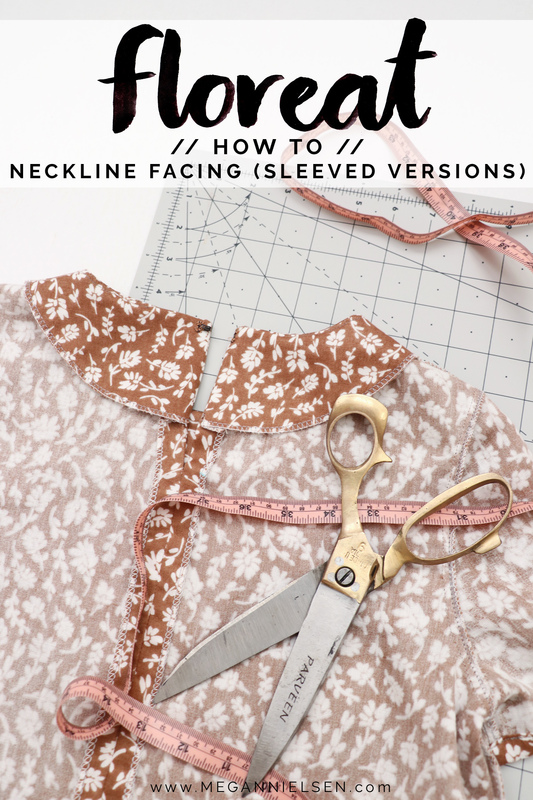 Are you ready to add the neckline facing to your sleeved versions? If you’re making a sleeveless version, we will cover the facing for that one in a separate post! 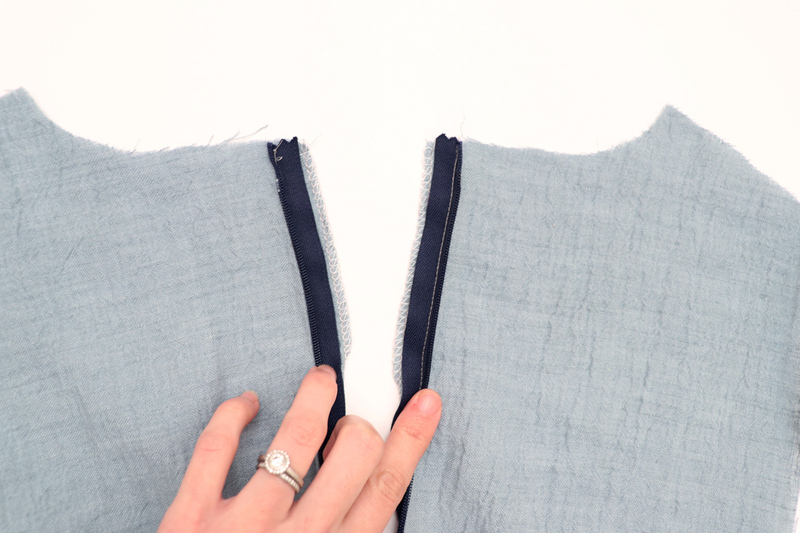 If you’ve never done a facing before, it is just a method of finishing the raw edge of a woven neckline using a piece of fabric that is the same shape of the outer fabric. It’s super simple, and you’ll get through it in no time! 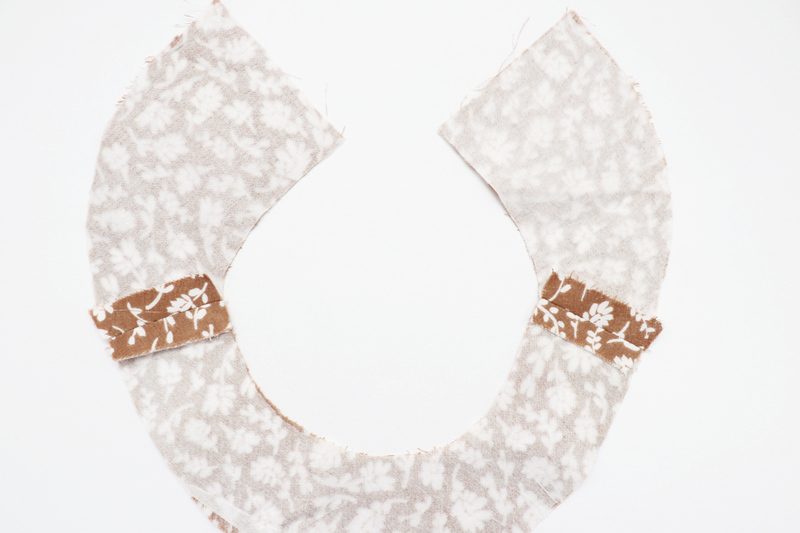 Apply lightweight fusible interfacing to the wrong side of the front facing and two back facing pieces. Place the front facing piece in front of you with right side facing up. 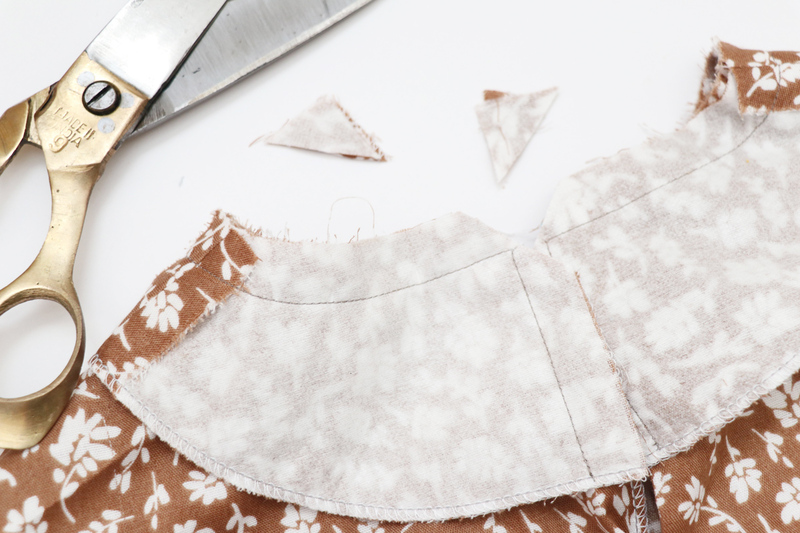 Lay down the back facing pieces with the right side facing down (right sides will be facing together). 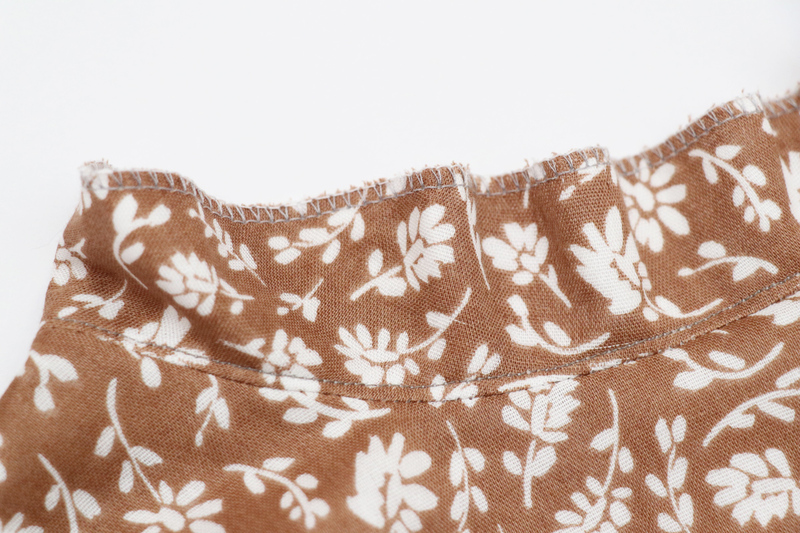 Line up the shorter ends together (the shoulder seams), and pin in place. 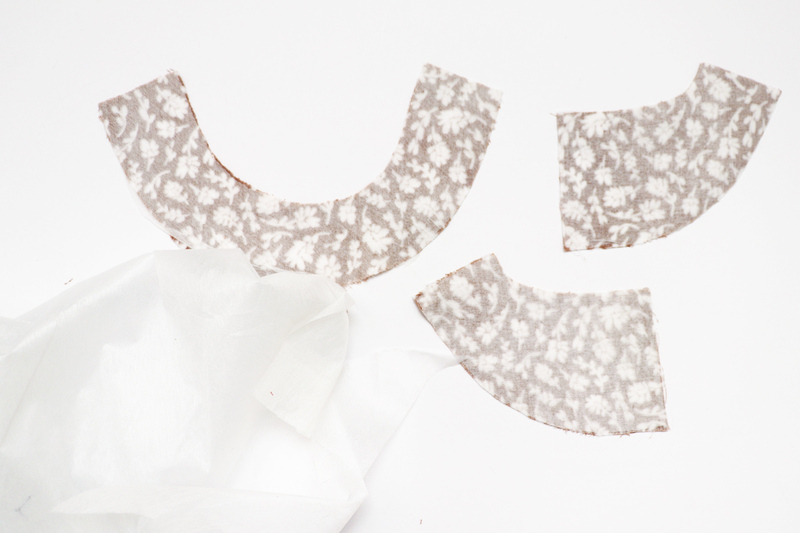 Sew the two seams 5/8″ from the raw edge. Finish the raw edge of the outer curve of the facing using your preferred method. 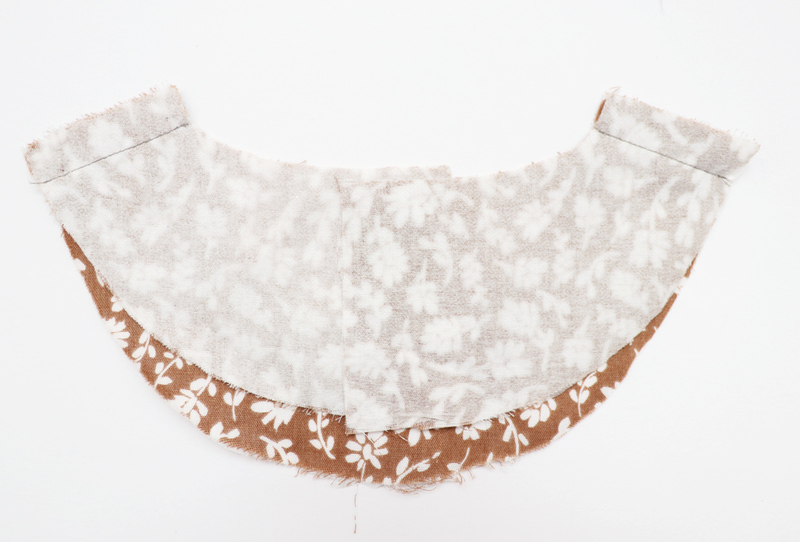 Have your garment in front of you with the right side of the fabric facing out. 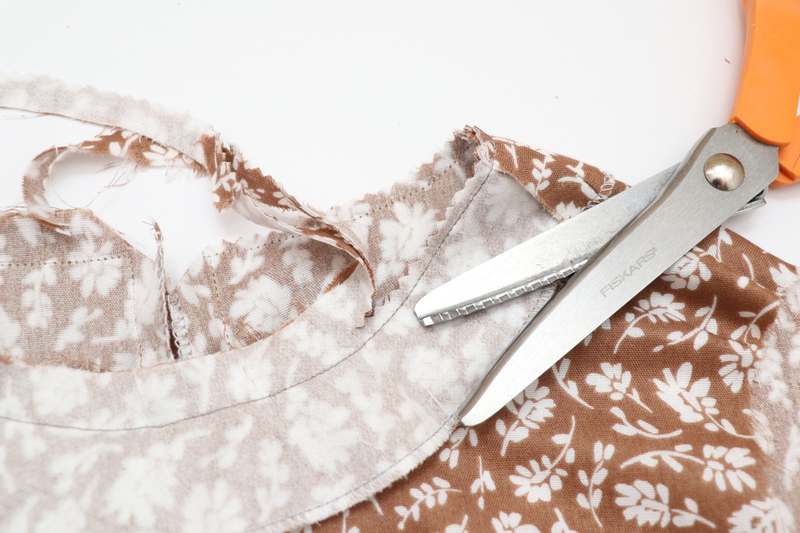 If you are using a slit opening, flip out the seam allowance at the center back. 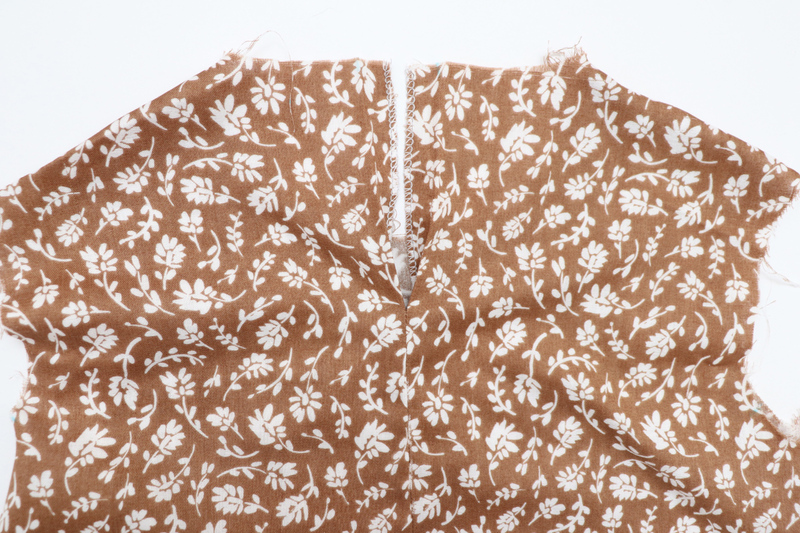 If using a center back zipper, unzip the zipper and flip out the zipper tape and seam allowance so that it is all flat. 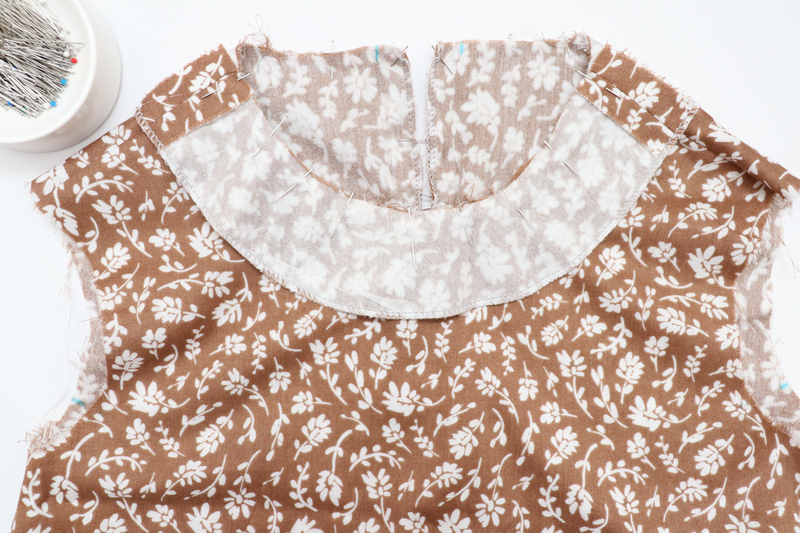 Place the facing down on top of the garment with right sides together. 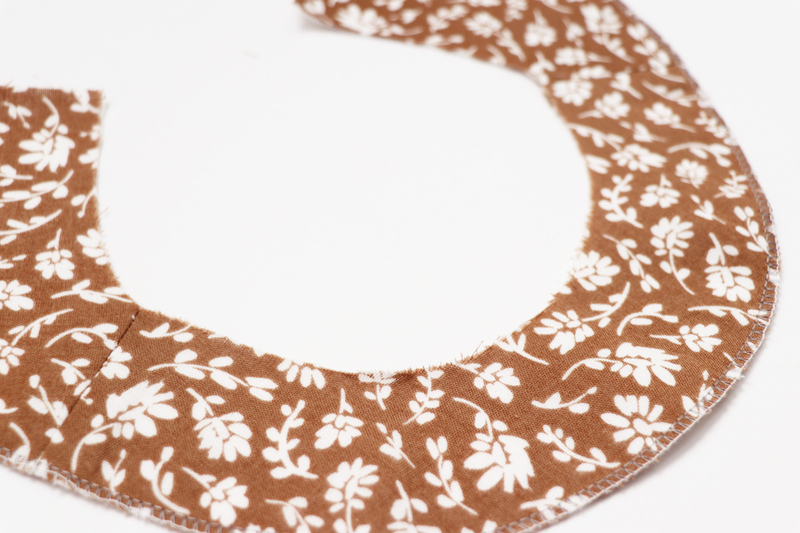 Line up the neckline and center back edges. Pin. Sew in place 5/8″ from the raw edge. Start along on side of the center back, pivot and continue along the neckline, then pivot once more back down the center back. 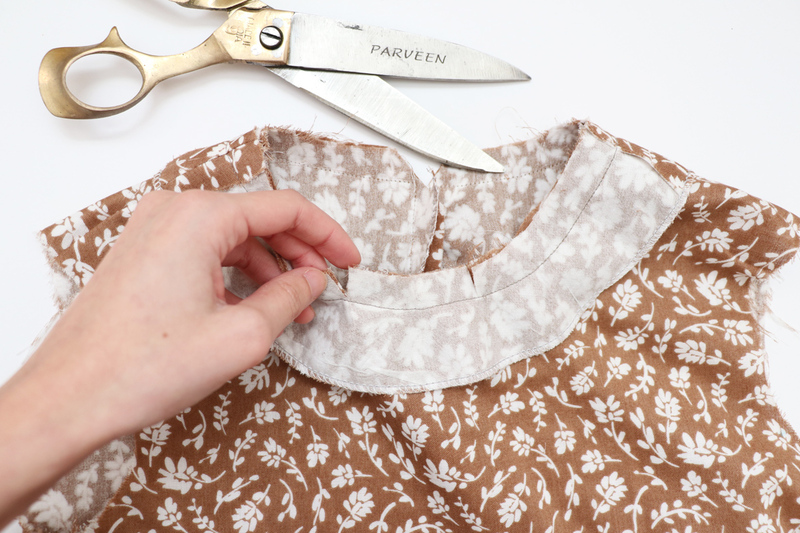 …you could instead use pinking shears to trim back the seam allowance along the neckline. 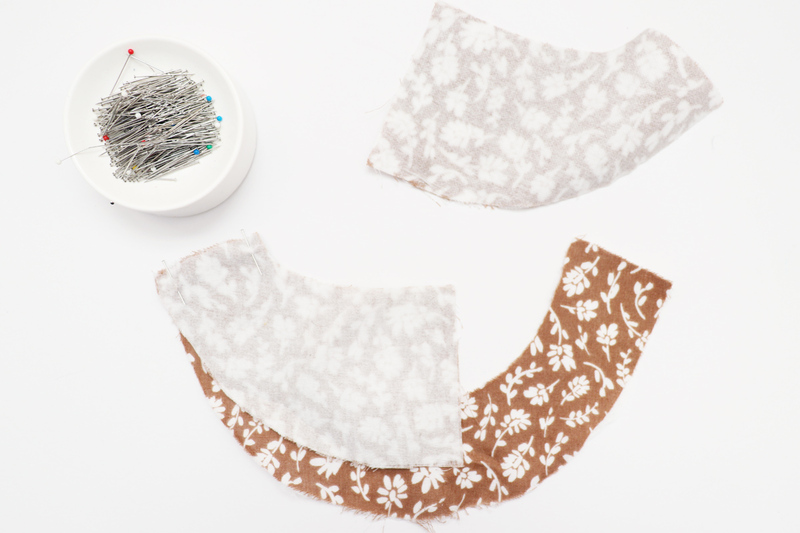 This will both trim and clip into the curve all at once to create a nice smooth curve! 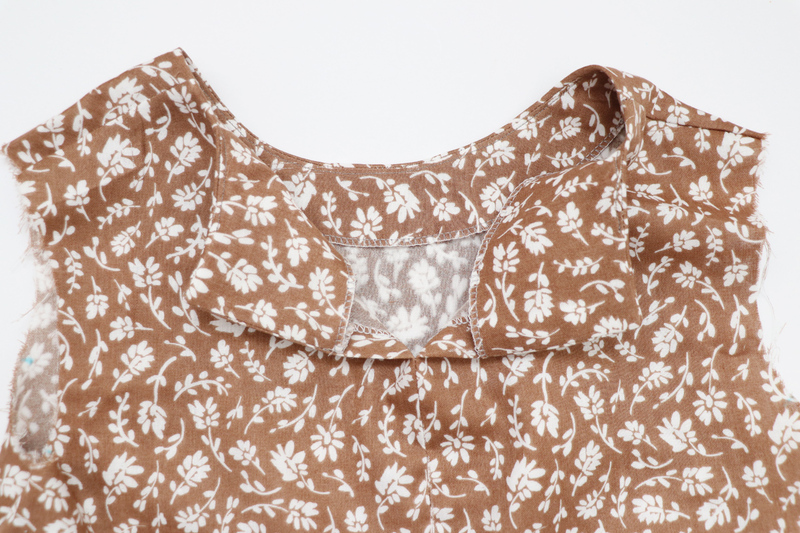 Press the facing and the seam allowance up and away form the garment. Under stitch along the facing, close to the seam. 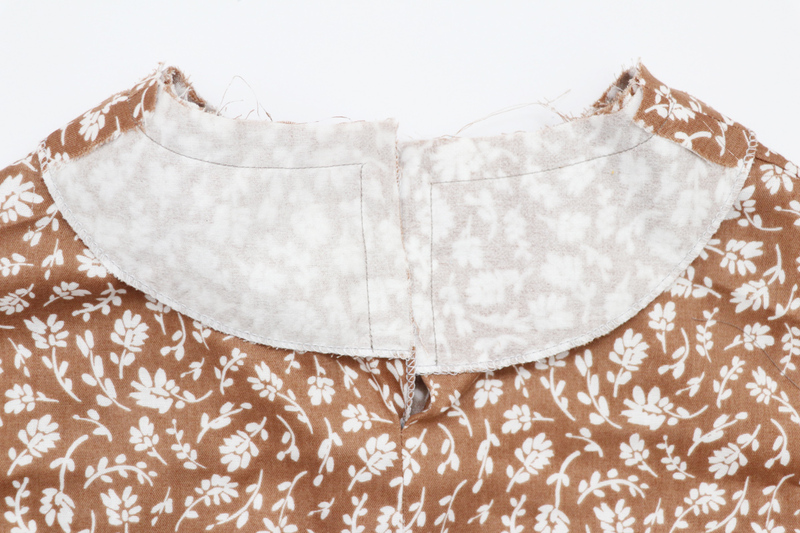 This will prevent the facing from rolling to the outside of the blouse. 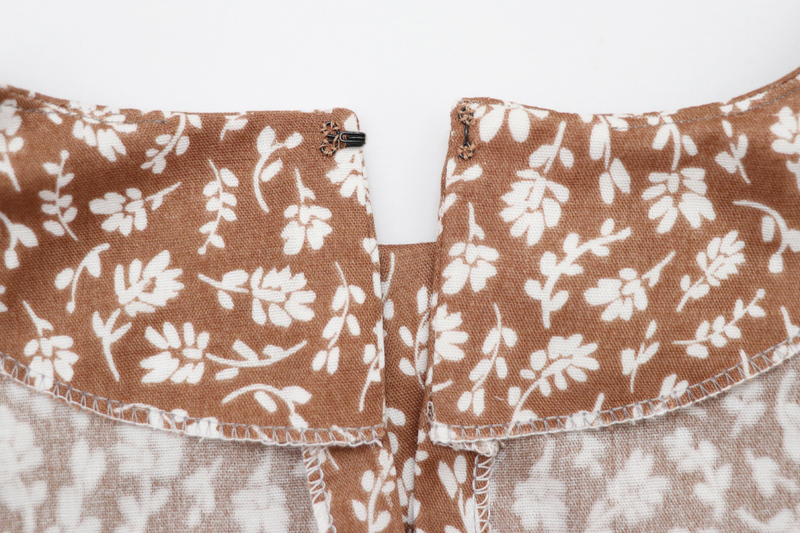 Note: you won’t be able to under stitch around the entire facing, since the center back seam is stitched. Just under stitch as much as you can. Turn your facing into the inside and press well. 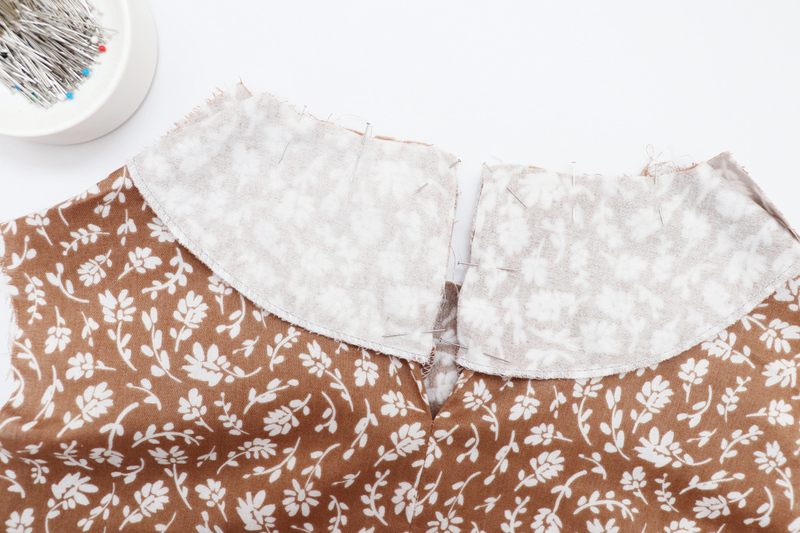 Secure the facing to the blouse by stitching it to each of the shoulder seams seam allowance. 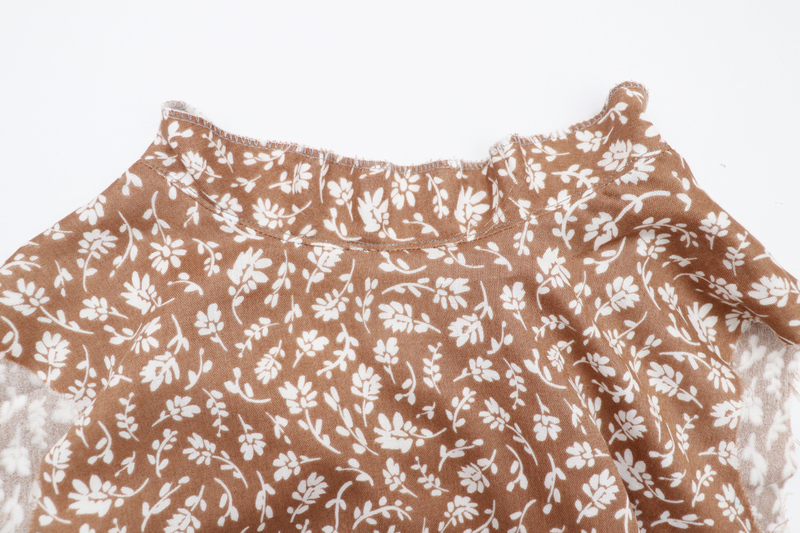 You can do this with hand stitching or by “stitch on the ditch” in the shoulder seam from the right side. 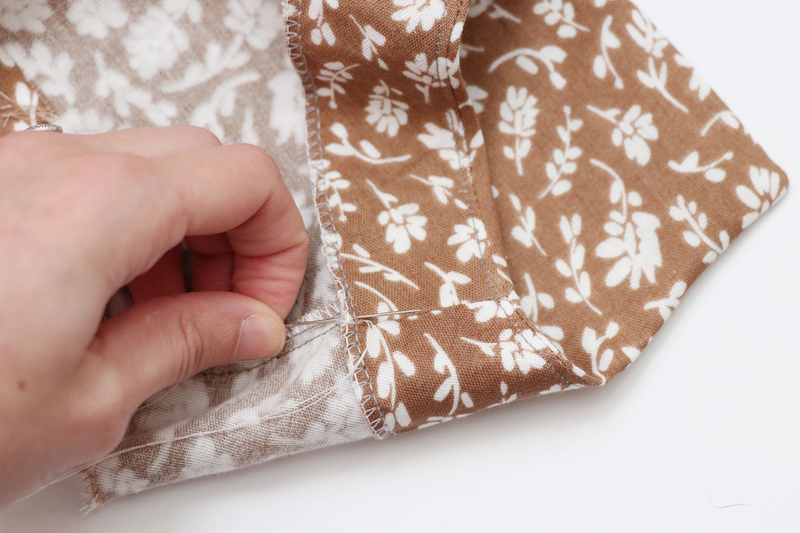 If you’re using a zipper – then you’re done with this step! 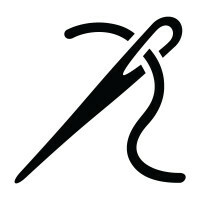 If you’ve made a slit opening back, you can now sew hook and eye at the top of the slit opening.